This year, we really went subtle. Paul took us deeper into our parasympathetic and contemplative zones than every before (in my observation). The discussions were rich on every front--from detailed anatomical slides and descriptions (Paul is getting his PhD at Emory and is eager to share his experience based on in-depth physiological study, research and networking with academic colleagues who are experts in a range of anatomical and physiological fields. Paul's experience, as always, shined through. As did his dedication. We also went into the mental blocks to practice, the point of practice--not to focus on the self but to see the self in a larger context and fine tune the attention toward the center of one's being--a stable place from which to come at life. We discussed emotional challenges, the definition of prana in a physiological context and a lot of other controversial subjects. Lots of laughing and engaging. Brilliant! 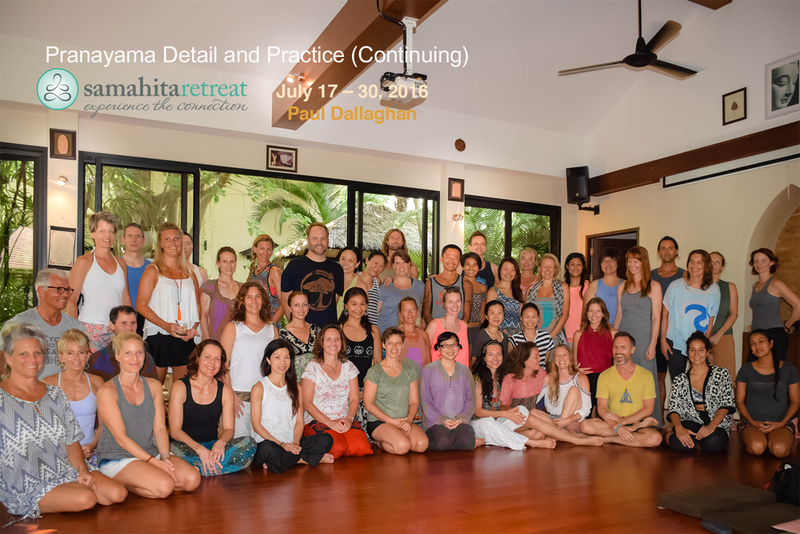 We also took our chanting and japa practices deeper by exploring semi-audible and silent chant as a powerful set of techniques. He checked our pulses three times each (and sometimes more when he sat one-on-one with us) to observe the shifts taking place through the applied breathing and to get a good sense of what our prescription will be for the coming year.